No matter what your preferred method of western blotting is, the UVP ChemStudio Series features the highest sensitivity in gel analysis available. Fluorescent western blotting is the preferred method for quantitative comparisons between protein samples and for detection of multiple proteins. However, the ChemStudio and ChemStudio PLUS systems were built with flexibility in mind, providing standard RGB and IR detection as an option. 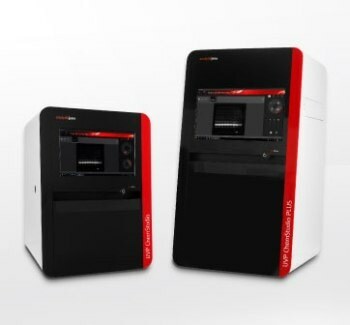 Whatever your preferred research method, the UVP ChemStudio product family was built to streamline your protocol from detection to analysis, providing the most accurate quantitation of data for an unlimited range of applications. The UVP ChemStudio product family features the newest technology, a brand new software interface and top-of-the-line camera options, which guarantees a wider dynamic range of imaging than ever before. With a Studio in your lab, your research is unlimited.